What Does this mean? There is a season to gold? ANSWER: Yes. 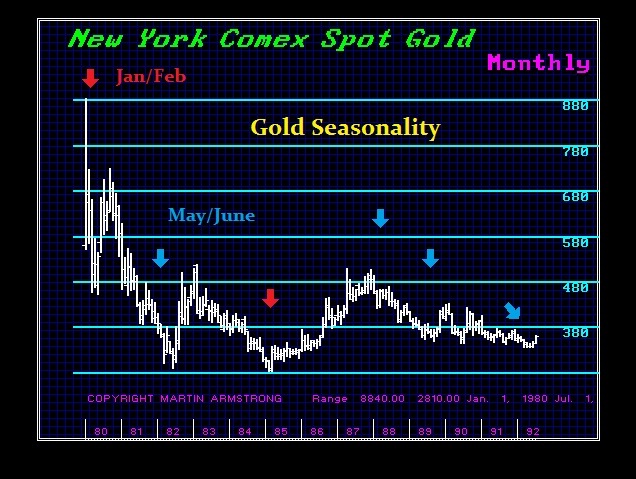 May/June often produces the low in gold. That is what we were saying a June low with a bounce. The other key months tend to be January/February. So the “bounce” from a June low on June 2nd is rather common.